Buck Elk Mountain | BUDK.com - Knives & Swords At The Lowest Prices! The Buck Legacy Collection features exceptional beauty and dramatic designs because hours of hand-craftmanship has gone into each knife. They are handcrafted in the USA with unique materials and you will find that they will become cherished family heirlooms. 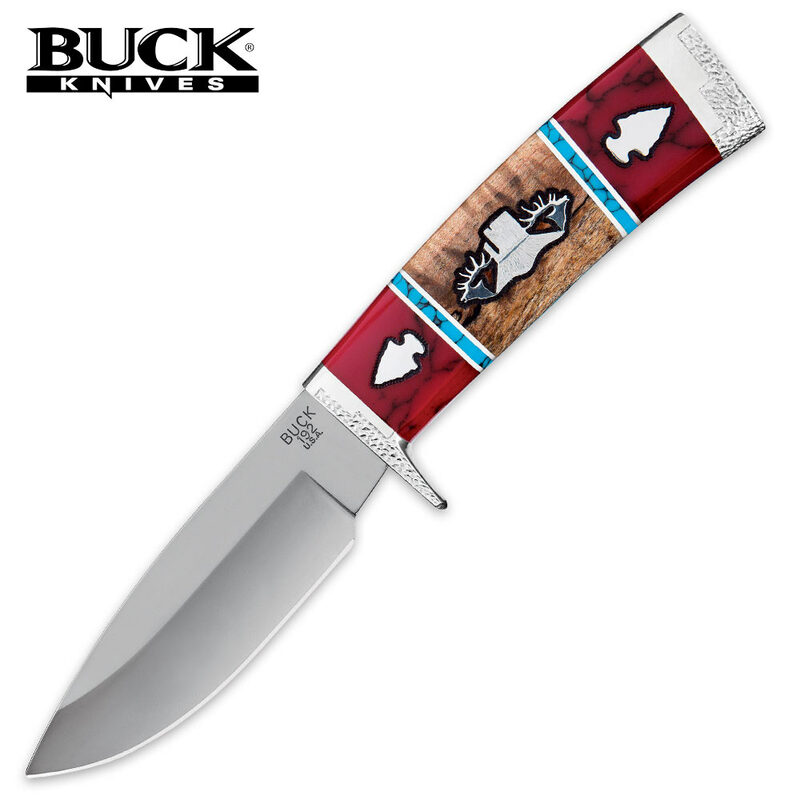 The Elk Mountain was custom-designed by David Yellowhorse and has an American Indian inspired design. The striking handle is of bloody jasper, turquoise, nickel silver and maple burl. The 4 1/8” drop point blade is made of CPM154 steel and is this fixed blade knife is 8 1/2” in overall length.